Up for an experiment? Try this out and tell me what you think. 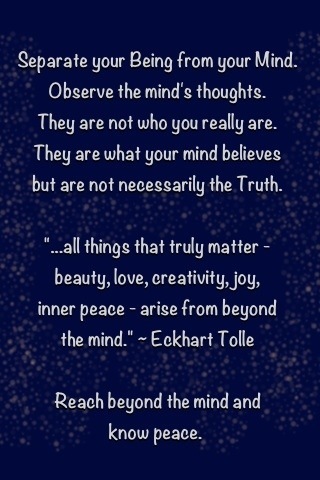 This entry was posted in Meditations, Quotes and tagged depression, Eckhart Tole, mental health, mental illness. Bookmark the permalink.